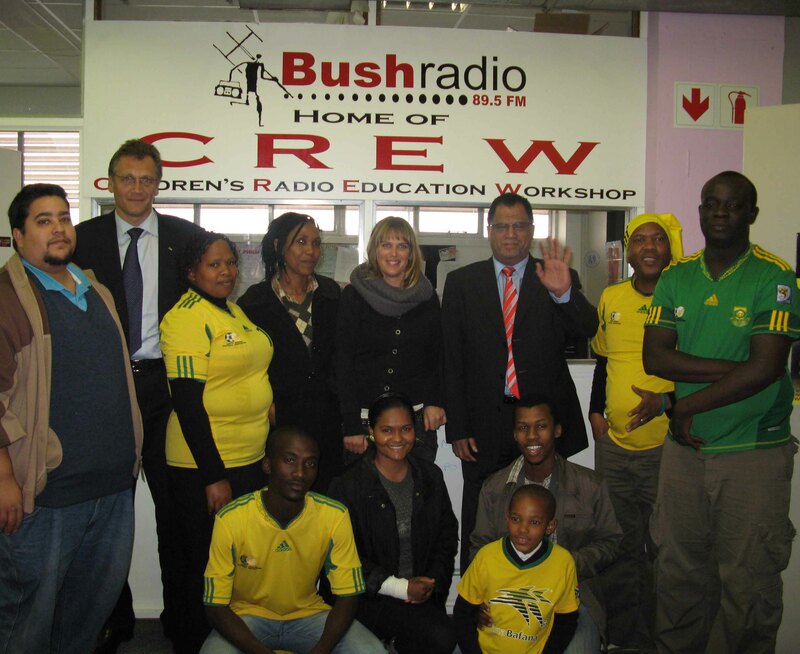 With just over 10 days left before kick-off to the 2010 FIFA World Cup, Africa’s oldest community radio, Bush Radio had the honour to host soccer bosses during its afternoon-drive show. FIFA General Secretary Jerome Valcke accompanied by Local Organising Committee Chief Executive Officer Danny Jordaan were in studio with Everyday People’s Sive Msolo and Freedom Raphela. Central to their discussions was the state of readiness for Africa’s first ever soccer showpiece. Valcke said the country was more than ready to welcome the world for the soccer spectacle. “South Africa is ready for the world, which I think is the most important thing today, you will see that when the world comes to South Africa we will not only have 31 teams, but five thousand media representatives, officials, fans and all around 400 000 people coming to the country,” said Valcke. Valcke said when these people leave the country after the 32 day soccer tournament, they will attest that they had a great time in the country. Asked about the legacy of the tournament Jordaan said the country will benefit through sustainable develop in the areas of transport infrastructure as well as economic opportunities. “If you look into transport, there has been a transport revolution in the country. We have upgraded the airport in Cape Town which means we will have more aircrafts landing therefore more people coming boosting tourism,” Jordaan said.